This article talks about the season 7 ranked rewards and when will it end. It also talks about the rewards and benefits players will receive at the end. Heads up, Summoners! Season 7 Ranked Rewards have officially been announced in the League of Legends official website. According to the post, the official season will end on November 7, 2017 and will resume next year, January 16. There will be a ton of new rewards for players who are silver V and above in two or more queues and those who have honor level three or more. Riot released a photo in their Facebook site in what appears to be the new season 7 victorious skin for this season. 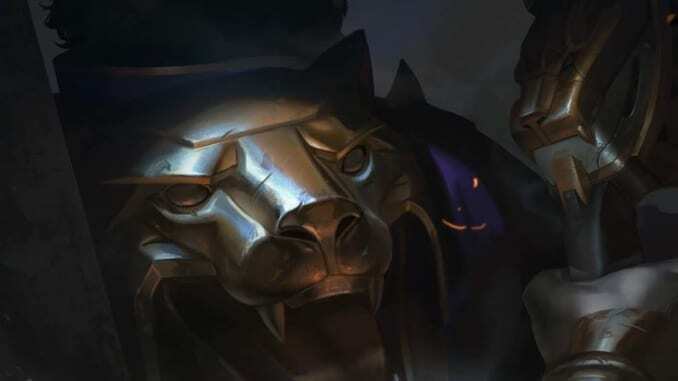 There were many speculations to who this is at first, but Riot officially confirmed that this is in fact Graves. Victorious Graves will be available to those who finished gold and above in at least one queue. Players will also received chromas depending on the queue they finished. Graves is a perfect champion to don the victorious skin as he is a high-meta champion who is played a lot in both casual and competitive scene. There is no official model yet to how the skin will look, but with the teaser picture above, it looks very beautiful and intimidating. There will also be a Victorious ward skin which will be available to those who finished silver or higher in two or more queues. Players who also earned honor level 3 and above will be receiving a special ward depending on their honor level. Borders around the summoner icon will also be removed and will be replaced with a much more improved version. Your last season’s ranking will now be in the front and center of your profile page. It isn’t much, but now atleast you can flaunt your season ranking more when someone visits your profile. Aside from that, pretty much everything’s the same for the season 7 ranked rewards. Silver and higher will get a loading screen border. The same rules apply like last season. You can check out what Riot has in store for us for Season 8 here.